Dalene Whitlock is one of the founding Principals, is the President of the company, specializes in traffic impact analysis, and is responsible for quality control for all of W-Trans’ services. She is registered as both a Civil and Traffic Engineer by the State of California and also as a Professional Traffic Operations Engineer. Dalene first applied her 1981 B.S. in Civil Engineering from San Diego State University to the field of traffic engineering as an Assistant Engineer for the County of Marin. 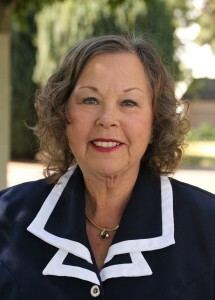 She continued her public sector employment with the City of Santa Rosa before joining the private sector in 1992 and becoming a founding partner of W-Trans in 1995. Through her many years in traffic engineering, Dalene has gained experience in a wide array of areas from safety, capacity, and operational analyses to transportation system design and public involvement. Her communication skills provide a bridge between myriad stakeholders, including policymakers, agency staff, applicants, other consultants, W-Trans staff, and the public, thus allowing diverse opinions to be heard and addressed. Attention to detail is a hallmark of Dalene’s work, making Dalene an excellent project manager as well as the firm’s quality control officer responsible for review of W-Trans products. Dalene is very active in the Institute of Transportation Engineers (ITE); she has held elected office at the Section, District and International levels and served as the Finance Chair for the 2010 San Francisco and 2014 Rapid City Western District annual meetings. She is currently the District Administrator for the Western District, and at the International level she is the Chair of the Transportation Forensics and Risk Management Council, and Secretary of the Student Traffic Bowl Committee.